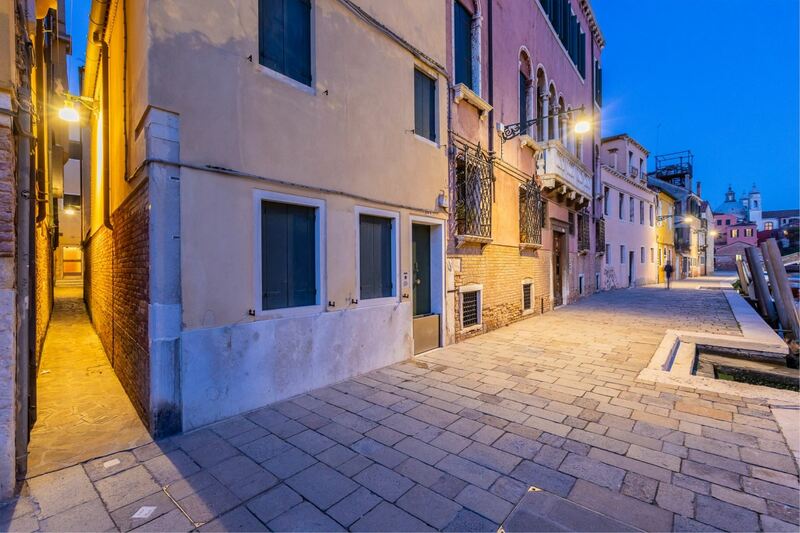 Sestiere Dorsoduro, calle bonlini, very close to the charming Squero di San Trovaso, among the last gondola makers! 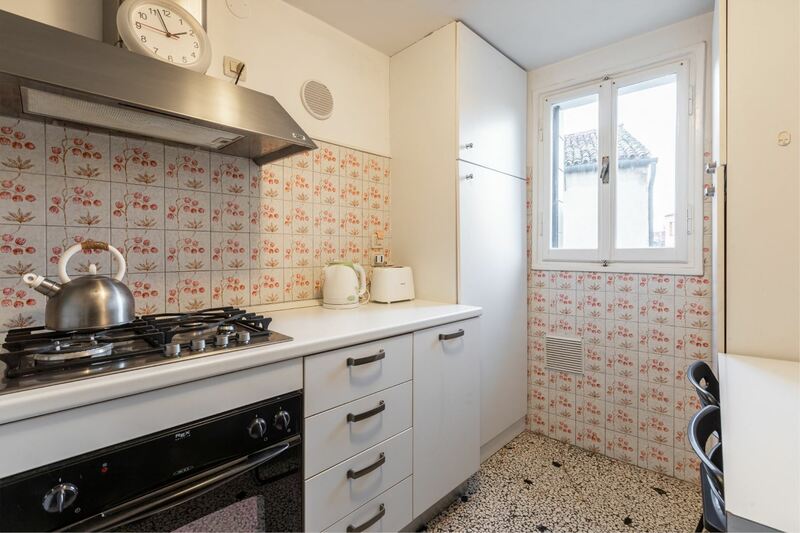 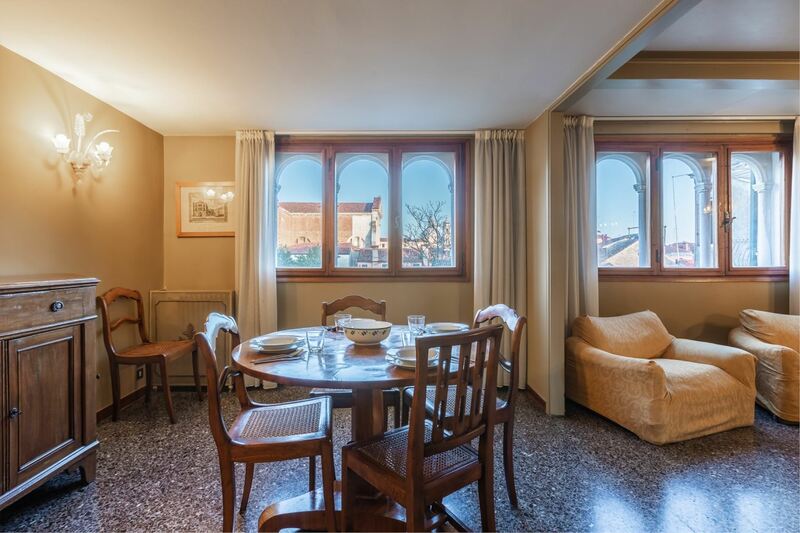 At short walking distance from both Accademia and Zattere, the sunny quay on the Giudecca Canal, typical Venetian Sunday stroll, but also a short walk from Salute church and the new Punta della Dogana Contemporary Art Museum. 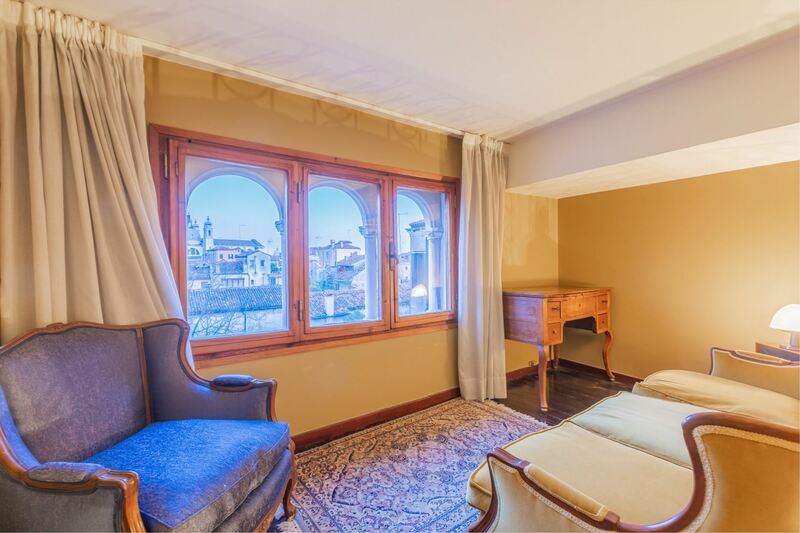 A lovely area, quiet, sunny, offering plenty of art galeries, cafés, museums... in the immediate neighbourhood, Guggenheim collection will be a must among your visits. 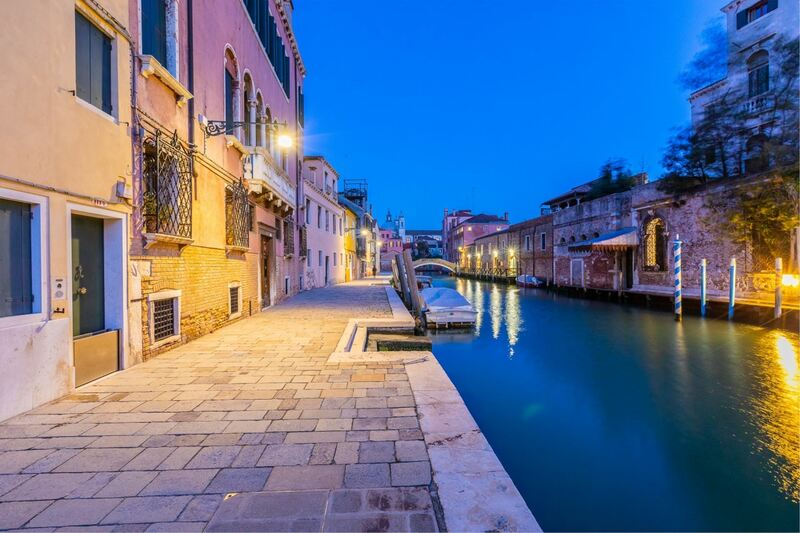 If you cross Accademia bridge, you can reach Saint Mark's square on foot in 15 minutes. 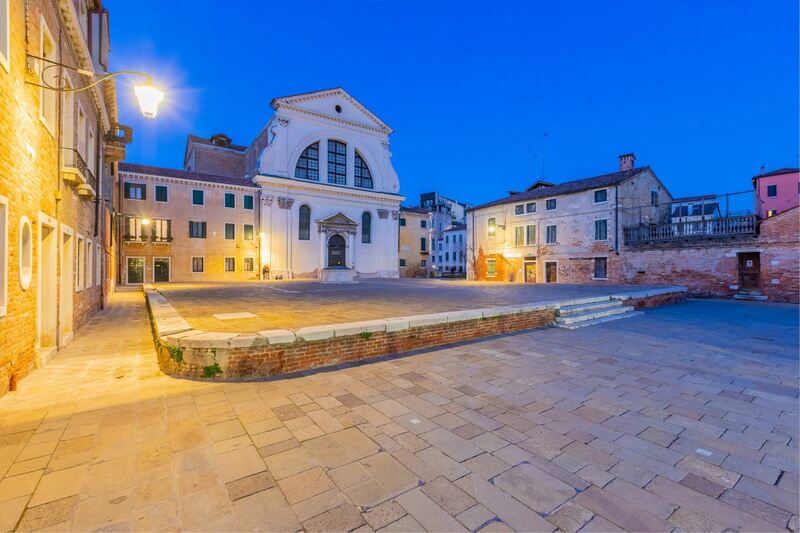 If you don't feel like walking, enjoy a coffee or a spritz in one of the open air cafés in campo Santa Margherita, it's just a few minutes away! 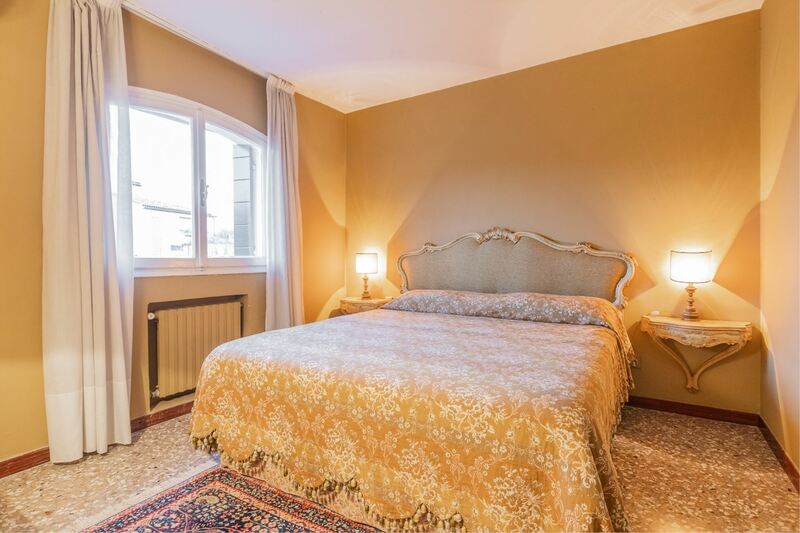 This spacious and sunny duplex, elegantly decorated in classic style, is 92 sqm in surface, it sleeps 4 and it's located on the 2nd and 3rd floor. 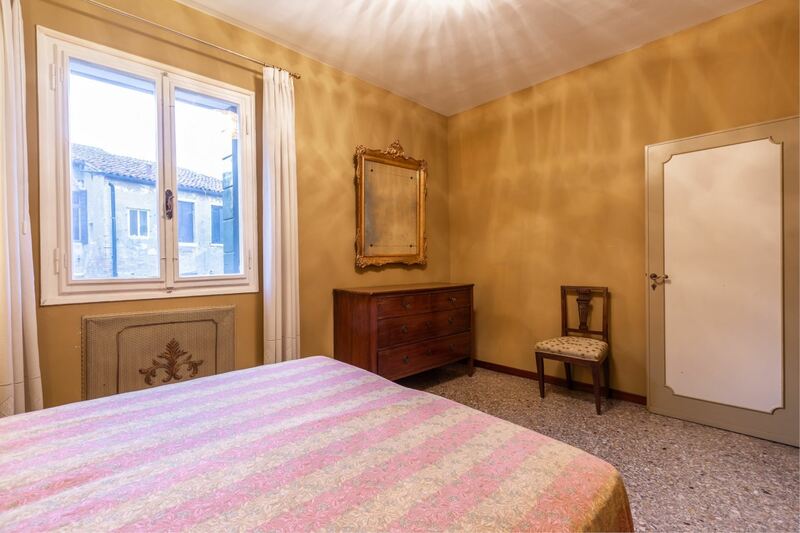 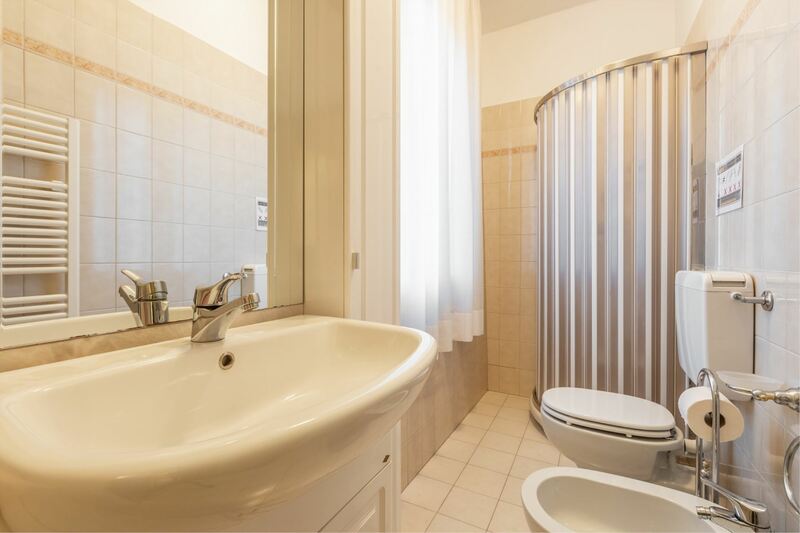 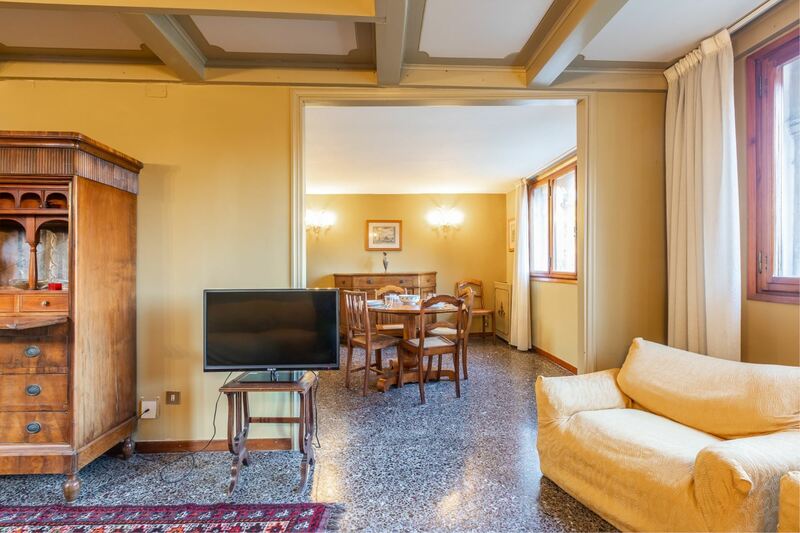 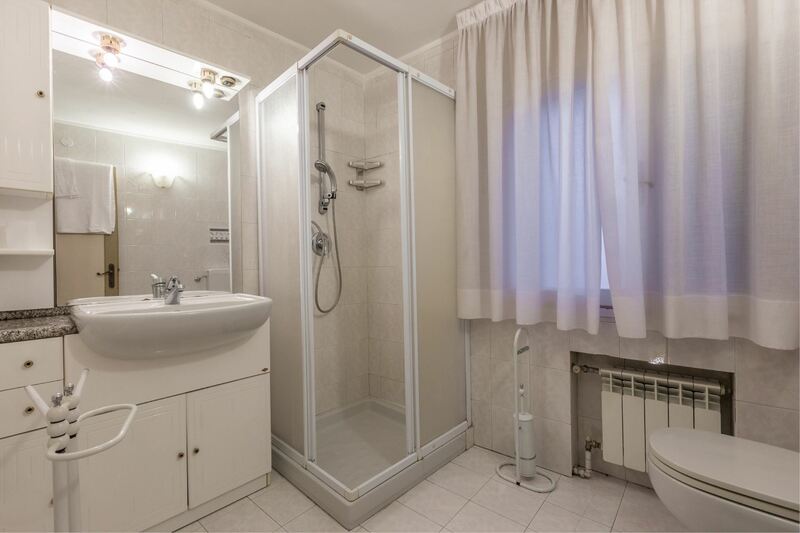 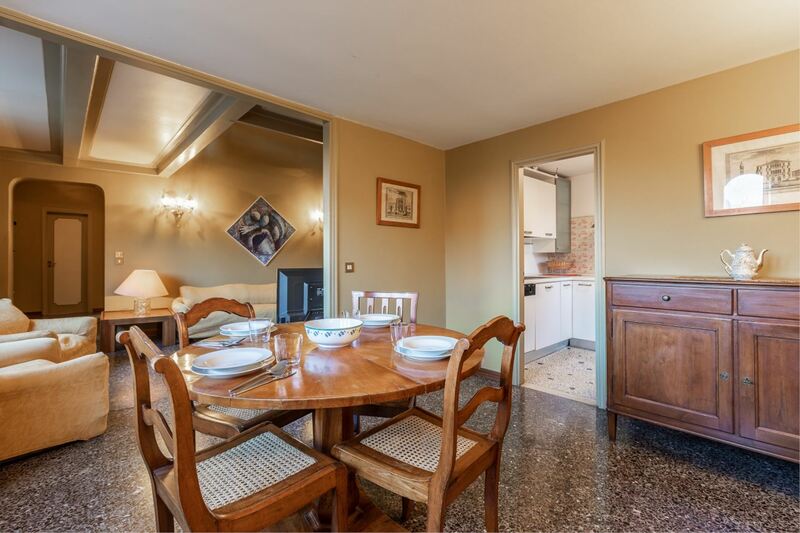 The 2nd floor displays an entrance, a dressing room, a master bedroom, a bathroom with shower, a spacious and fully equipped kitchen and a sunny living room with dining area, with a very nice trifora window overlooking the surrounding gardens and San Trovaso church. 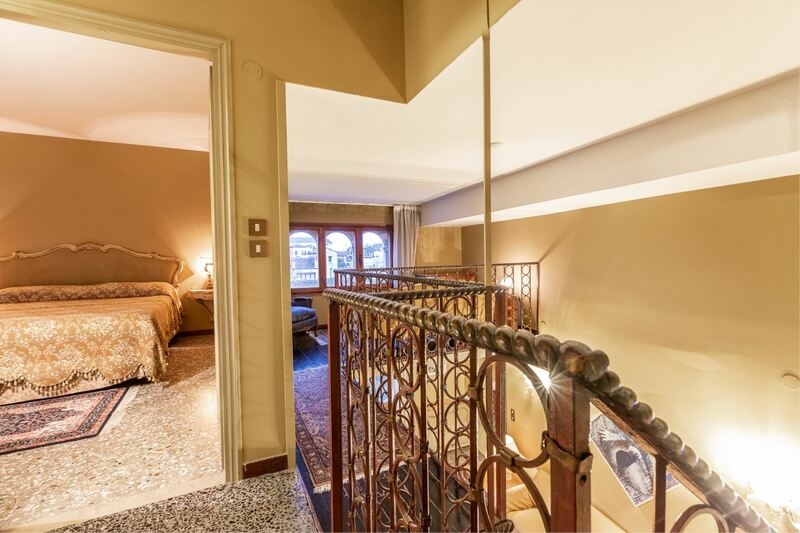 From the living room, a staircase leads you to the upper floor, where you can find another master bedroom, a bathroom with shower and a mezzanine. 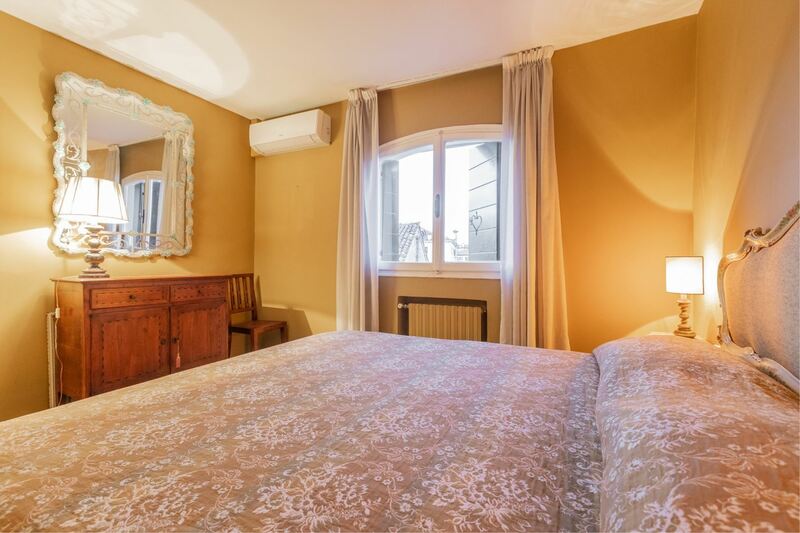 Both bedrooms can have twin beds if preferred. 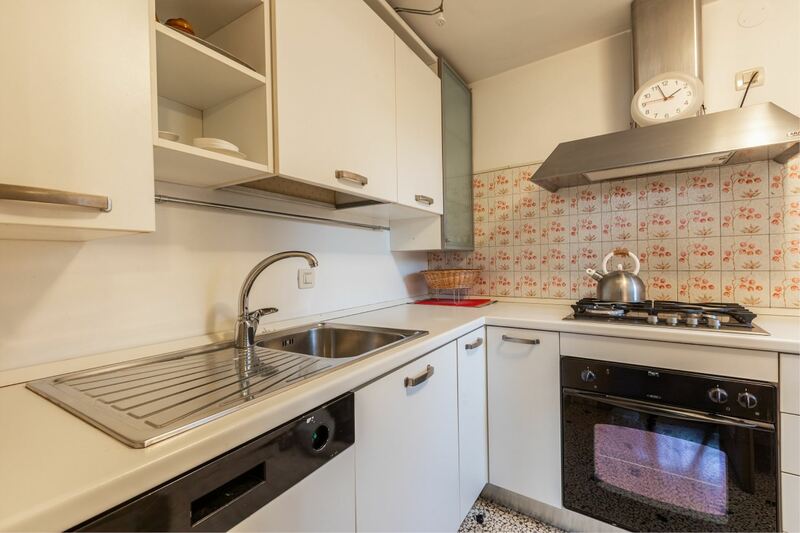 Equipment: tv, washing machine, oven, cooking rings, fridge with freezer, toaster, hairdryer, electric kettle, air conditioning. 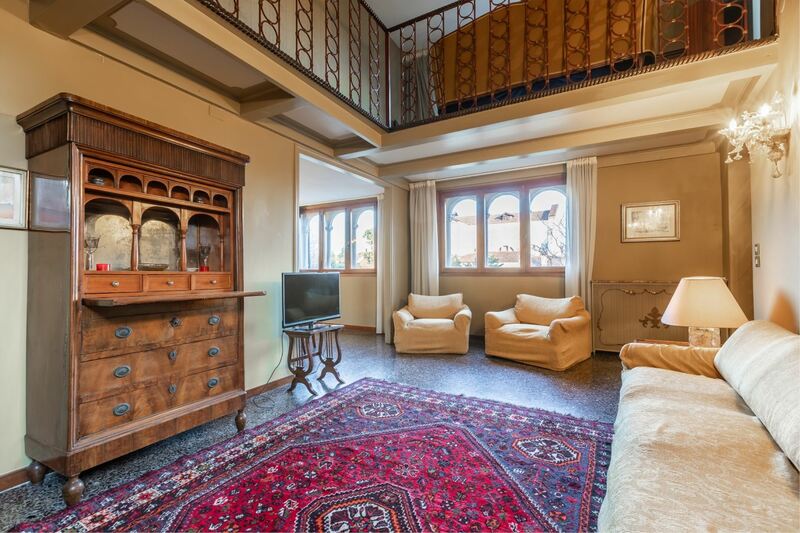 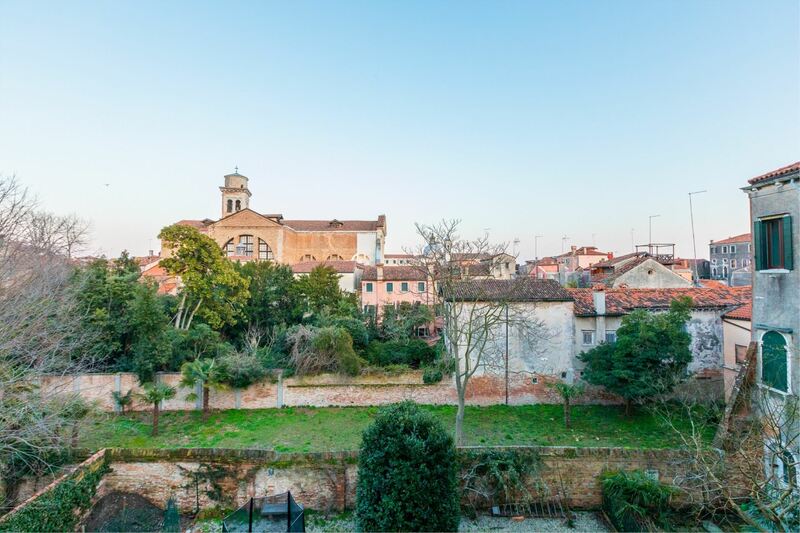 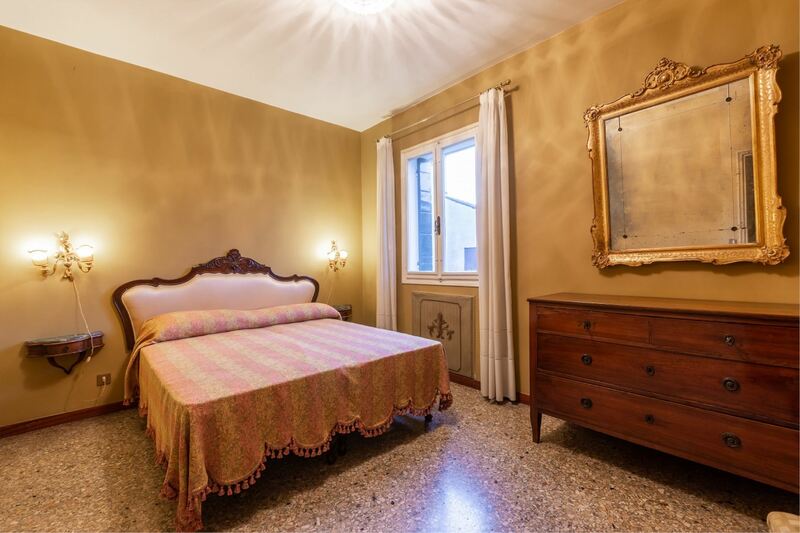 A classic styled apartment, ideal for 2 couples, in a lovely area, quiet location, offering a real Venetian feel and a stunning view! 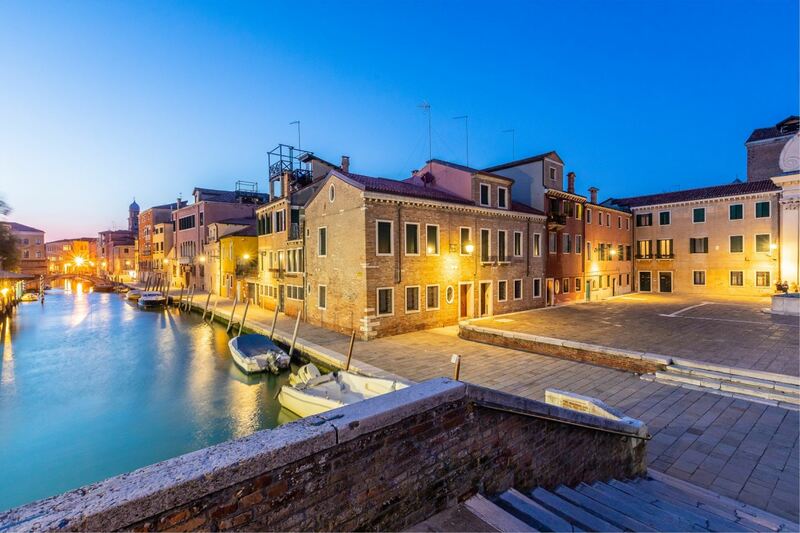 Vaporetto lines 5.1/5.2, alilaguna water-bus from Marco Polo airport, Zattere stop.